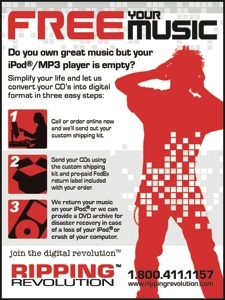 First magazine ad running in Orange Coast magazine geared towards the consumer/iPod crowd. This entry was posted in RR by tsmanz. Bookmark the permalink.